At Haven we offer great opportunities and careers. There’s no better place to make your career. Come and join our family and help us to create the best experience for our guests. 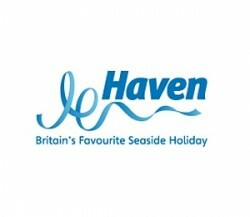 Haven is part of the Bourne Leisure Family. We operate award winning, family focused caravan parks all around the UK’s coastline. Our 36 parks have a total of 36,000 caravan pitches. Our guests come to our parks to enjoy a wide range of activities from our entertainment and activity programs or to spend time with their friends and family. During 2013 alone we provided an excellent holiday experience to over 2 million families. In addition to this we sold over 5800 caravans to new and existing owners looking to enjoy our holiday ownership program. As a brand Haven is very proud of our award winning team and we have been recognised in many ways. Some of our best awards are: Top 25 Best Big Companies, British Travel Award winners, TTG Travel Awards winner, Green Tourism Awards, Travolution, Customer Service Training Awards Winner plus many more. All our team members are empowered to take full responsibility for their own development. If any training or coaching is required it can be discussed with your manager. Some of the training / development opportunities we offer include Knowledge-based /technical skill training, E-learning modules, Apprenticeships, NVQ’s, On job training and coaching, Leadership Development Programmes, Management Development Programmes, Externally approved Leadership qualification programme (ILM) and a cross brand mentoring scheme. We have many vacancies available in different parts of the country these include Holiday Experience Team Member, Dream Team Member, Guest Services Team Member, Fun Star, Welcome Host, Chef, Retail Assistant, Holiday Home Sales Advisor, Support Ranger, Accommodation Cleaner plus much more. We describe all our team members at all levels as ‘ bright and breezy’ people. To join our team you will need to have the right ‘yes I can’ attitude, make everyday fun and always do the right thing for our guests. You will enjoy working day to day in a fun, challenging and fast paced environment. Supporting other team members to deliver a set of crystal clear values to help create amazing experiences for our guests. You should also be able to focus on service and standards at all times. Find more information and make an application below. Want to give your career the break it deserves then look no further. Search for a vacancy here and apply today.